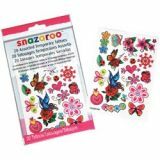 Snazaroo Temporary Tattoos 20/Pkg - REEVES-Snazaroo: Assorted Temporary Tattoos. 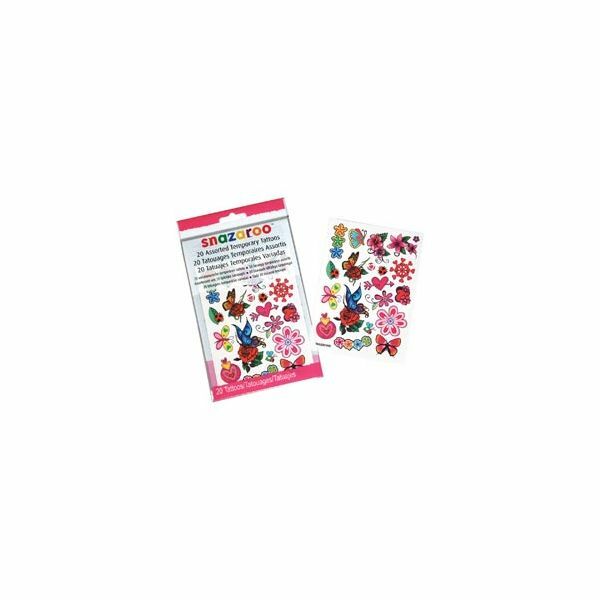 Have some fun with these temporary tattoos! Just apply with water and remove with baby oil. This package contains twenty assorted tattoos. Design: Flowers, Hearts & Butterflies. Ages 6 and up. WARNING: SMALL PARTS. Not for children under 3 years. Ingredients comply with EC Cosmetic Safety Directive and US FD&C Act. Imported.